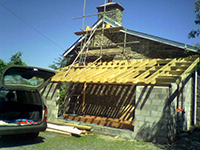 Clive Dicks has been established as Aberystwyth Dragon Construction for the last twenty five years and has been a general builder with over thirty years working experience. 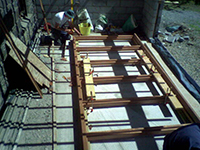 Our main area of work is in the Aberystwyth area but we can travel further a field depending on the jobs requirements. We offer a full range of services to our customers and our quality of work means that a lot of the time we are working on repeat business for the same customers. 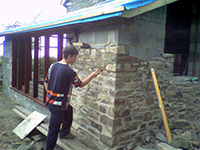 We are an expert company in all areas including central heating installers or repairs, fitted kitchens, plumbing services, roofing installers, electrical repairs, plastering, painting, roofing repairs. Our business has been built on recommendation and referral and we will always strive to ensure your total satisfaction. Our time served engineers will ensure your home is dealt with respectfully and always left clean and tidy. We always strive to ensure our work is done on time and within budget.